Businesses are suddenly very interested in Facebook Messenger bots. 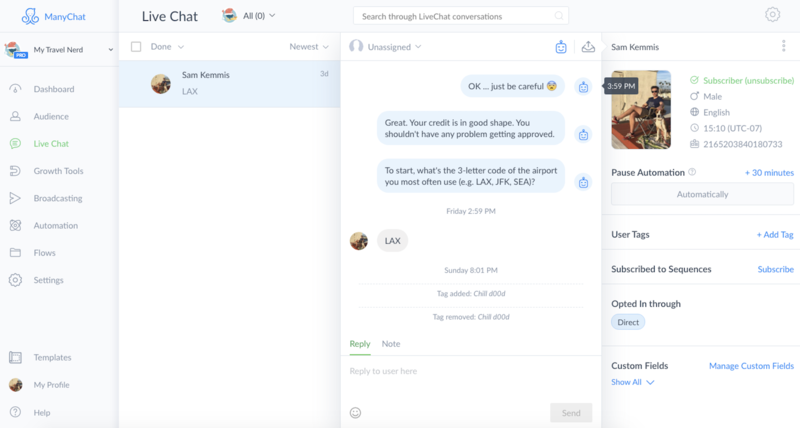 And for good reason: Facebook's chat platform now supports over 1.2 billion monthly active users—and automated chatbots, like ManyChat and Chatfuel, provide a unique, interactive way of engaging with them. Chatbots let you have a conversation with users in real time instead of just talking at them asynchronously, as you would with an email or social media post. You can embed these Facebook chatbots on your own website, or engage with customers directly through Facebook or the standalone Messenger app. And you can use chatbots to do more than answer customer service questions: They can help you segment your audience, collect and nurture leads, or even sell products directly. Bottom line: Facebook is where customers are, and Messenger chatbots are a great way to reach them. ManyChat and Chatfuel have emerged as two premiere chatbot building tools, which allow anyone to create powerful bots without any programming skills. Let's see how they stack up. At their core, Facebook Messenger chatbots "take over" the messaging for your product's Facebook page. If a user sends you a message on Facebook, your bot will automatically send a customized response. User chats and responses are then stored within the chatbot app itself and can be surfaced later or integrated with an external database or CRM. As we tested these two apps, here are the features we looked for. Click on any section to jump to the feature that matters most for you and your business, or go directly to our feature comparison table. To compare the features of ManyChat and Chatfuel, I built a chatbot for my travel deals service, MyTravelNerd, from the ground up. 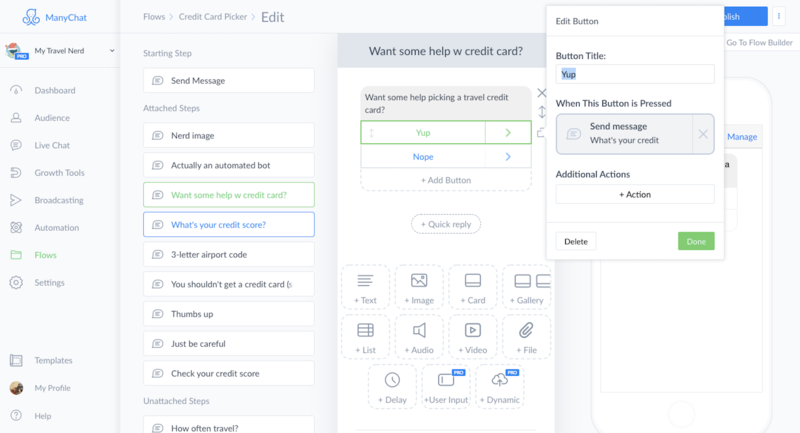 The goal was to create an automated way to answer a question I often receive from users: "What is the best travel credit card?" It turns out answering this question requires some feedback and info from the user, so it's a perfect candidate for a chatbot. Want to get a sense of how chatbots work from the user perspective? Chat with the finished product. I'll reveal at the end of this article which app I chose to build it. Before diving in, there are a few key chatbot terms that you'll want to familiarize yourself with. Broadcasts are the chatbot equivalent of email marketing campaigns. 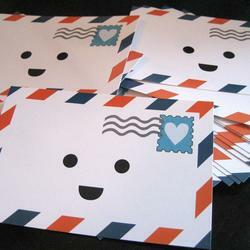 They're messages or groups of messages that go out to a specific segment of your audience. Automations are scheduled messages that are sent to users on a regular schedule or after particular user actions (much like email drip campaigns). Buttons are the preset responses the bot provides for users to select. Instead of fielding open-response questions (and making users type), buttons provide an easy navigation interface. 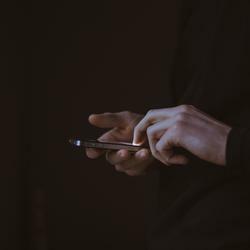 Most other terms and concepts vary from app to app, but those are the building blocks. Chatbots work like Choose Your Own Adventure stories, with branching messages based on user feedback. So you could ask "What do you want help with?" and provide the feedback options: "Hotels," "Flights," or "Something Else." Then, depending on which answer the user selects, the bot would connect them to the appropriate "branch"—or next step—of your chatbot. This branching logic makes for powerful, personalized engagement, but can get overwhelming in a hurry. The point? The user interface of these chatbot builders can make the difference between a breeze and a headache. Until recently, only tech-savvy types could create chatbots. User-friendly apps like ManyChat and Chatfuel have only sprung up in the last few years. That means they're still figuring out how to design intuitive interfaces that make sense to beginners, and it means they differ significantly in how they do it. We won't detail every aspect of each app, but instead, we'll call out some important ways in which they differ. 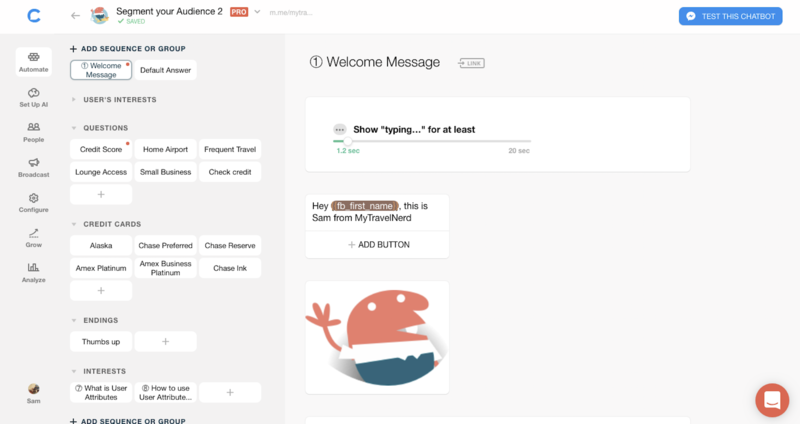 You'll create messages, provide user response buttons, and string messages together based on which response is selected. I found this interface pretty intuitive and was able to start building my bot almost immediately. For example, my first message to users asks them a simple screening question, then it continues on to the main flow for users who are interested, and ends the flow for users who are not. 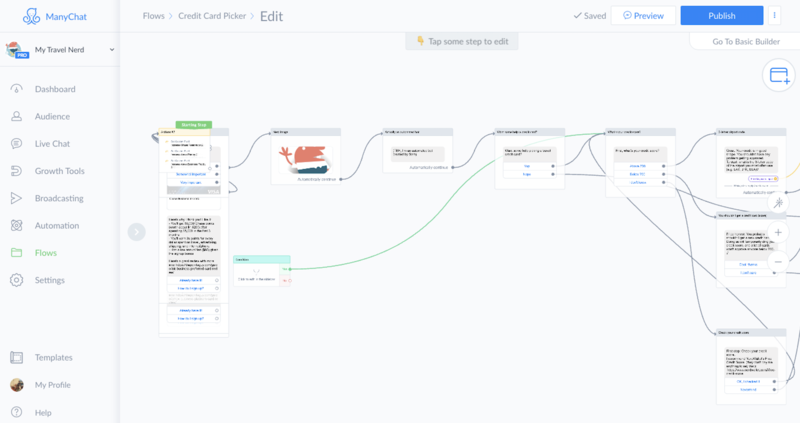 The Flow Builder is a great way to really "see" the logic of your bot, but it can quickly get overwhelming and messy. I found myself switching between the two views, spending more time in the Basic Builder while first developing the sequence and more time in the Flow Builder while editing and debugging. Similar to ManyChat's UI, you organize questions in groups and string them together logically (but they don't offer the bird's-eye option). Overall, I found their interface much harder to parse. I had to refer to their help documentation several times before making a successful sequence. Starting with one of their great templates can help, but even so, it takes a little head-scratching to learn the basics. Once you get past Chatfuel's steep learning curve, it's not so bad. But ManyChat has done a better job of creating an overall more intuitive chatbot-building interface. Regardless of how easy the interface is, even creating a "simple" bot from scratch can involve hours of setup time. That's why pre-made templates—and the ability to clone and edit a bot—are so important. 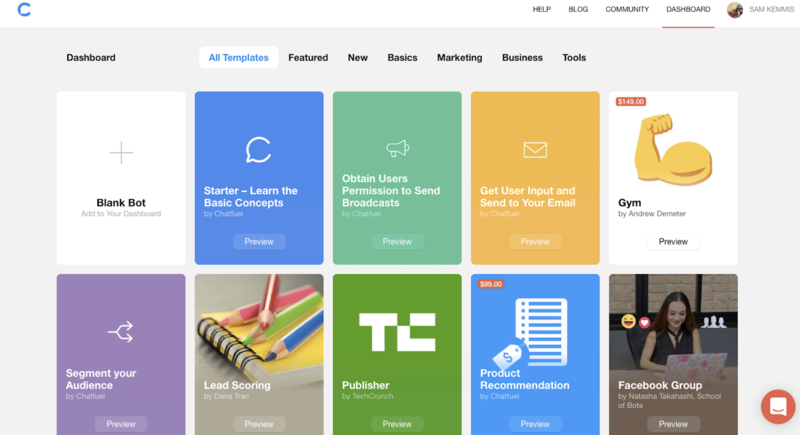 Chatfuel's templates are bountiful: They offer over 75 templates, ranging from simple email signups to complete eCommerce solutions. Some are specific to particular industries, like a restaurant reservation bot, but most are general-purpose tools that almost any business can use. A handful of these templates come with a price tag on top of the Pro subscription, but most of them are free. Chatfuel's templates are well-documented with helpful comments and notes as you edit them for your own needs. 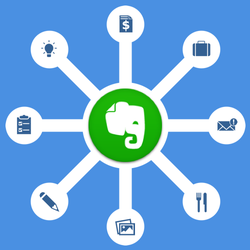 In addition to streamlining your process, this provides an excellent way to learn some of the platform's more complex functionality without slogging through tutorials. My only quibble: Their documentation is spread throughout the template itself, and sometimes I wanted a comprehensive "Here's what this template does" introductory document. ManyChat does provide that introductory info for their templates, both as PDFs and explanatory videos. The problem? They only offer six pre-made templates. 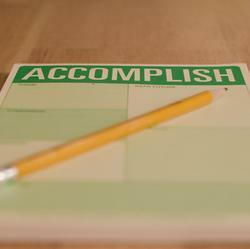 That's right: six templates to Chatfuel's 75+. 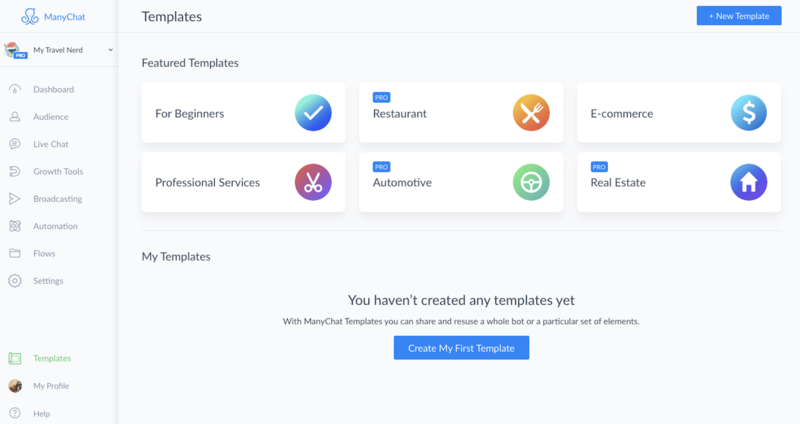 Instead, ManyChat focuses more on letting you create your own templates, so you can develop similar bots without reinventing the wheel each time. (Of course, Chatfuel also offers the ability to clone your bots.) 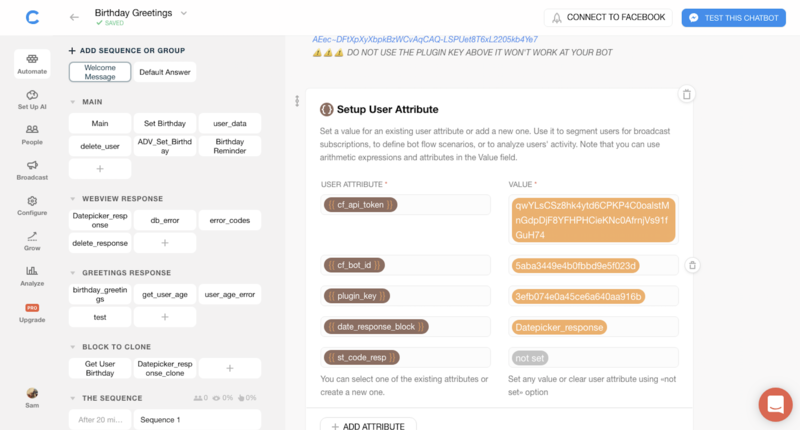 You can also duplicate specific flows within your bot, but for beginners, that's nothing compared to the robust menu of templates you'll get with Chatfuel. Chatbots are all about personalization. You're having a conversation with your users through your bot, which means you can collect useful data based on what your customers tell you. And the best part? You don't have to feel weird about it: They're actively divulging this information via conversation with the bot. Of course, you can do a lot with the data that comes out of these conversations. 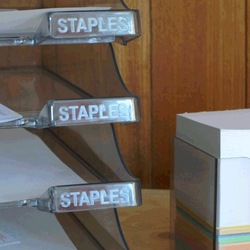 You might create specific interest groups and target future messages to the appropriate group. 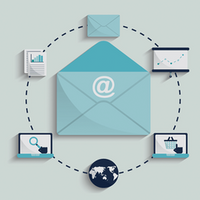 You might send the data to your email marketing tool or CRM. Or you might even gamify your chatbot and let users "level up" by completing certain tasks. To do any of this, you'll need to store and manage custom user variables. For example, for my bot, I wanted to know which airport users usually flew out of, so I created an open-ended question (without buttons) asking them for their airport, then stored their response as a custom variable. (Note: ManyChat calls these custom variables Fields and Chatfuel calls them Attributes.) 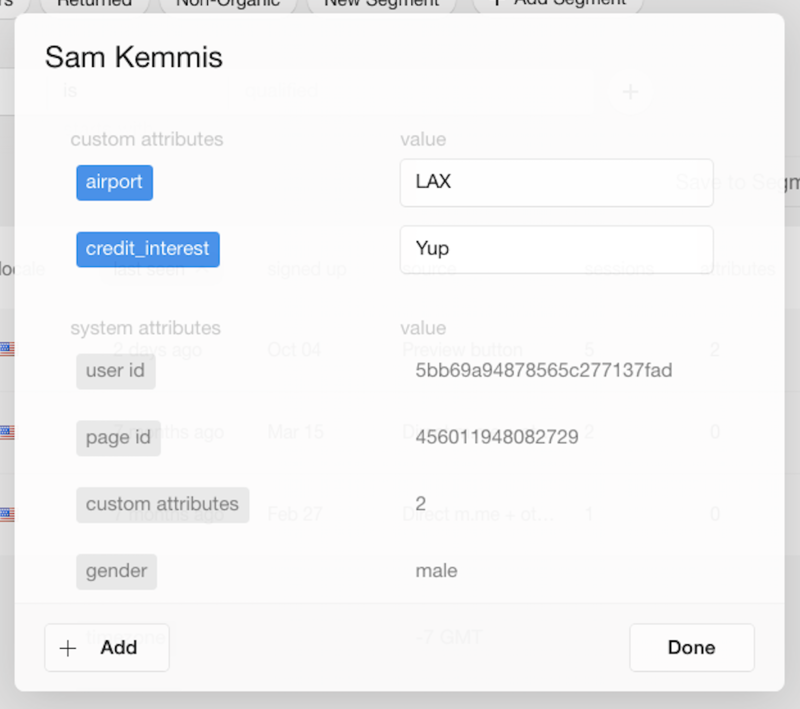 ManyChat also lets you set Tags on users, which serves as another level of segmentation on top of the original variables. You can change and update these variables in many ways—manually, through user input in the bot, or through integrations with other apps. Both ManyChat and Chatfuel offer customer management interfaces that let you filter and segment your audience by these variables. You can also message individual users directly from this interface, which is pretty handy, especially if you want to follow up with a user who seemed confused, frustrated, or downright irate while dealing with your bot. ("What airport do you fly out of?" "Go away." "Great!"). ManyChat's UI is a lot slicker than Chatfuel's in terms of customer management, but they both offer the same general functionality. Once you segment your audience appropriately, you'll want to send targeted messages—i.e., Broadcasts—to those segments. Facebook has some fairly strict rules for what they call Promotional Broadcasts, which can only be sent to users who were active on your bot within the last 24 hours. Your account can be suspended or even banned for failure to comply. ManyChat has a helpful built-in feature in their broadcast tool to ensure you comply with this regulation, whereas Chatfuel does not. No matter how good your bot is, it will lead a lonely existence unless it has someone to talk to. You can push users to your bot manually through other channels—such as a link in an email or on your website—or you can use ManyChat and Chatfuel's built-in marketing tools. ManyChat and Chatfuel both offers a bevy of tools to help get users chatting with your bot. For example, they have simple web overlays and popups for your website that encourage visitors to chat with your bot. 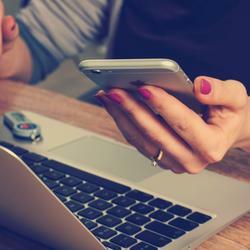 These tools can help convert traffic or provide customer support. They also both offer a comment tool that automatically adds subscribers who comment on your Facebook posts and sends them messages to encourage them to engage. Finally, they both provide an automated landing page builder for your chatbot, although Chatfuel's is slightly cleaner and requires less setup. ManyChat goes above and beyond, but with features for more involved users. For example, they have a complex JSON integration with Facebook ads that automatically gathers data from users who engage with your ad and then sends custom responses. 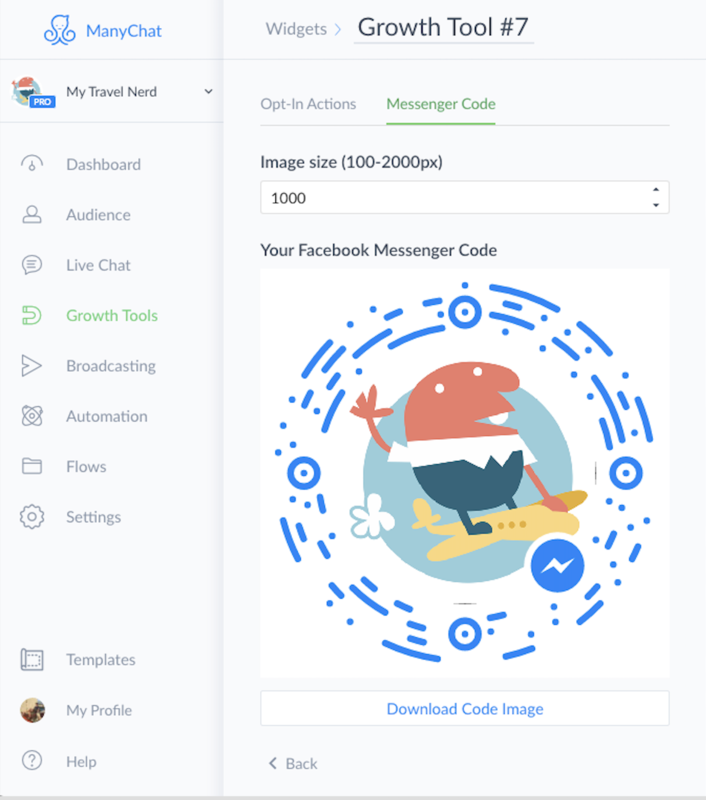 They even have a scannable Facebook Messenger code that you can put on posters and other IRL things that auto-populates with your company's logo and connects users to your bot. One big advantage that chatbots have over other channels, like email or social, is the ability for in-Messenger purchases. Why kick users to an external site or app to purchase your product or service when they can do it directly within your bot conversation? Chatfuel offers native Facebook payments (similar to Apple Pay, but only for North American customers). They also support Stripe payments for both free and Pro Chatfuel accounts. They vet your business by reviewing your terms and conditions before approving in-bot sales, but otherwise, setup and implementation are easy: Add a Buy button to a product or gallery of products, set prices, and create custom responses. ManyChat's setup is even easier, but they only offer Stripe support. Maybe they'll start supporting native Facebook payments in the future, but in the meantime, it's a pretty important missing piece. It's also worth noting that payments are only available on ManyChat for Pro plans. Use artificial intelligence natural language processing (NLP) to understand your users' intent from open-ended responses. Connect users with a real-life support agent when they go off the bot's loop. Unfortunately, ManyChat doesn't offer NLP support, so you'll have to enter all of the exact phrases that you want to match. 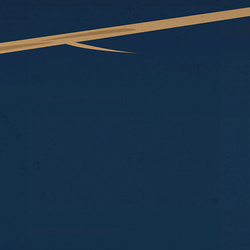 They offer (seemingly) unlimited keyword matches, but it's time-consuming to enter them all. Plus, keyword-matching is a recipe for bugs and poor customer experience: "I have reservations about this chatbot." "OK, I'll be happy to help you make a reservation!" Chatfuel appears to offer rudimentary NLP, but really, it's just keyword matching. That is, it can recognize certain words and phrases and respond appropriately. Still, it's much better and less prone to mistakes than ManyChat. You can use a 3rd-party NLP processor like Janis, which is custom-made to work with chatbots and offers loads of support and documentation for its Chatfuel and ManyChat integrations. Of course, you'll have to pay for it. 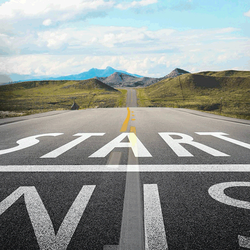 If all else fails and a user isn't finding what they want, you may want to send them over to a human being. Both ManyChat and Chatfuel have actions to notify you or your team when this step is needed, which can be done directly in the Messenger app or through an external tool like Slack (via integrations). That is, when a user hits a problem in the bot or specifically asks to talk to a human, you can be notified and get human input. To respond to this notification and take over from the bot, you can jump into the conversation on the Facebook Messenger interface (which still functions normally while your bot is active) and respond directly. But this can be clunky if you have a lot of conversations going at once, as it can be hard to find the right user in a sea of updating messages. To help, ManyChat has a terrific Live Chat feature that automatically directs the conversations you choose to a special interface within ManyChat itself, which then provides all the necessary info on the user. ManyChat automatically pauses automation messages, so your customer support conversation isn't suddenly interrupted with a coupon offer broadcast. By stripping away the non-automated conversation and providing in-line information on the user, ManyChat has done away with many of the problems of human/bot co-messaging. Chatfuel also offers the functionality to send a user over to a real human, but the conversation takes place in Messenger rather than a standalone interface like ManyChat's. Marketers love to slice, dice, and pivot their data, and chatbots offer truckloads of data to work with. 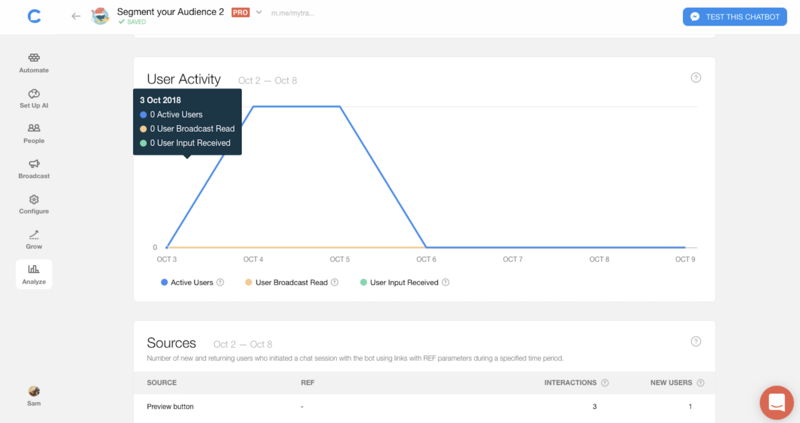 In Chatfuel, user behavior is tracked in a few simple graphs, while stats like user retention, popular buttons, and popular open-ended responses not recognized by AI are represented in tables. It's also fairly rudimentary, but it's a bit more user-friendly and enough to get started with some your marketing metrics. Given the potential complexity of even the simplest chatbot, you'll likely need help learning the ropes and support when you hit a roadblock—I certainly did. ManyChat offers a free video training course, and it's pretty impressive. Dozens of videos with the chipper, rust-belt-accented ManyChat rep, Molly Pittman, walk you through everything you need to know. But video tutorials aren't my preferred method of learning a new product, and I found myself impatiently skipping through them trying to get to the parts I didn't understand. I spent much more time in their up-to-date Knowledge Base, which includes both basic and advanced tutorials and FAQs. If you can't solve your problem in the Knowledge Base, ManyChat has a ticket-based customer support system. I found ManyChat's support team prompt and helpful with the few questions I sent their way. I found Chatfuel's help documentation harder to navigate and understand, but Chatfuel offers easy-to-access chat support that's more user-friendly than ManyChat's system. It's not live chat by any means (you can expect a response within 24 hours), but it's clear that Chatfuel wants you to reach out to their support team, whereas ManyChat buries their ticketing system behind a variety of self-service support layers. Whether you're dipping your toes in the chatbot waters as a marketing tool or looking to build a standalone chatbot business, pricing matters. As you can see, Chatfuel's free plan is less restricting and gives you the chance to build a complete bot with unlimited variables, segments, and integrations. But their free plan has a 5,000-user limit, whereas ManyChat's more restricted free plan supports unlimited users. So if you already have a big user base and want to try out a simple chatbot, ManyChat's free plan will let you do so for free. But if you're starting with a small subscriber list or want to build a complex bot, Chatfuel gives you more for free. 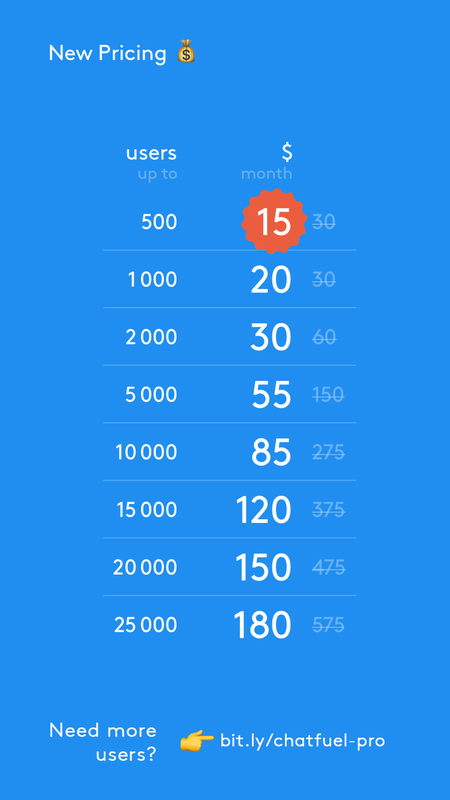 Note: Chatfuel's pricing page is pretty barebones. To see their full pricing scale, you'll need to log in or find it buried in this help doc. For my final credit card helper bot, I decided to use ManyChat. 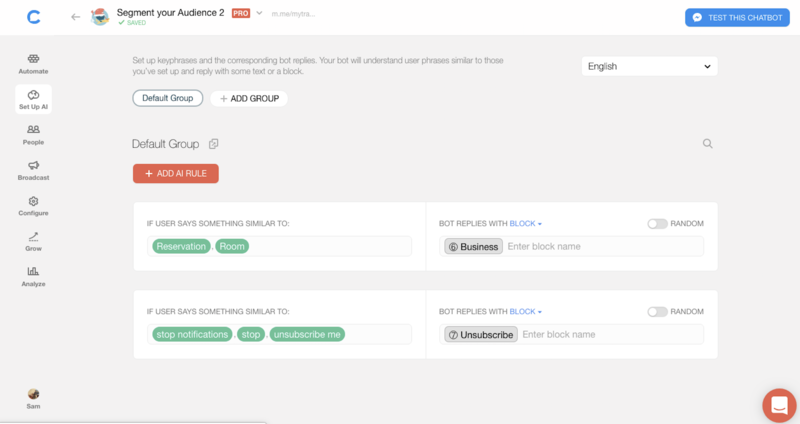 I found their builder very intuitive—I built almost the entire bot without referencing the help documentation—and their variable-management system both more powerful and intuitive. Since my chat involved juggling and weighing a bunch of variables, this functionality was important for me. Having said that, Chatfuel might still provide the best fit for your needs. Their bot templates are head and shoulders above ManyChat's, and their free version (up to 5,000 subscribers) offers way more functionality. They also have an easier reporting interface and more user-friendly customer service. What matters is which of these features are priorities for your potential bot. To that end, check out this side-by-side comparison of features. Unless you're planning to use your chatbot as a standalone product, you'll need to connect it with other software and apps. Chatfuel offers a small selection of native integrations they call Plugins, but to connect Chatfuel and ManyChat to 1,000+ apps, you can use Zapier. Automated workflows called Zaps will send information from one app to another whenever a specific trigger event occurs. Here are some ways you can automate ManyChat and Chatfuel with Zapier. Don't see the workflow you're looking for? 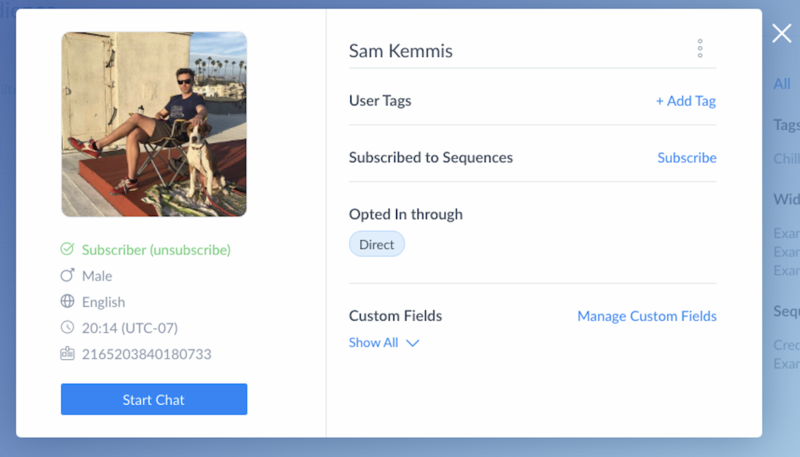 Zapier will automatically subscribe a ManyChat user to a sequence, send a text message to a ManyChat user, send content to a ManyChat user, and more, whenever trigger events happen in the other apps you use most. Take a look at all of Zapier's ManyChat integrations and Chatfuel integrations, or create your own workflow with the Zap editor. 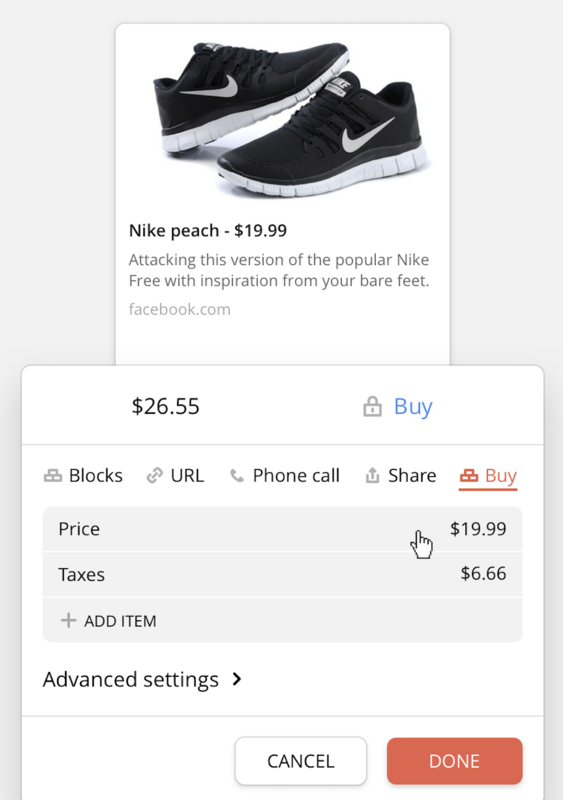 Image of in-app purchase from Chatfuel. Sam Kemmis is a writer and the founder of MyTravelNerd, a travel deals thing. He currently lives in a 1991 Mitsubishi Delica van.